After the event we went to last night, me and Beloved and our friends passed by World Class Persian Kebab. I’ve never heard of this place before even though we’ve basically eaten at every affordable place at Tomas Morato. My friend says this is the best place for Persian food at extremely affordable prices as well. He also mentions that this place is open 24 hours. When we got there, I realize why I’ve never seen this place before. It is located at the corner of Tomas Morato and E. Rodriguez, the side of Tomas Morato we have little reason to go to. Perhaps this visit to World Class Persian Kebab would give us reason now. The menu comprises of the usual Persian/Mediterranean fare—kebabs and shawarmas made of chicken, pork, or beef, and random ox parts like the brain and tongue. Because I wasn’t very hungry, I just had their Beef Shawarma with Cheese (50 Php). 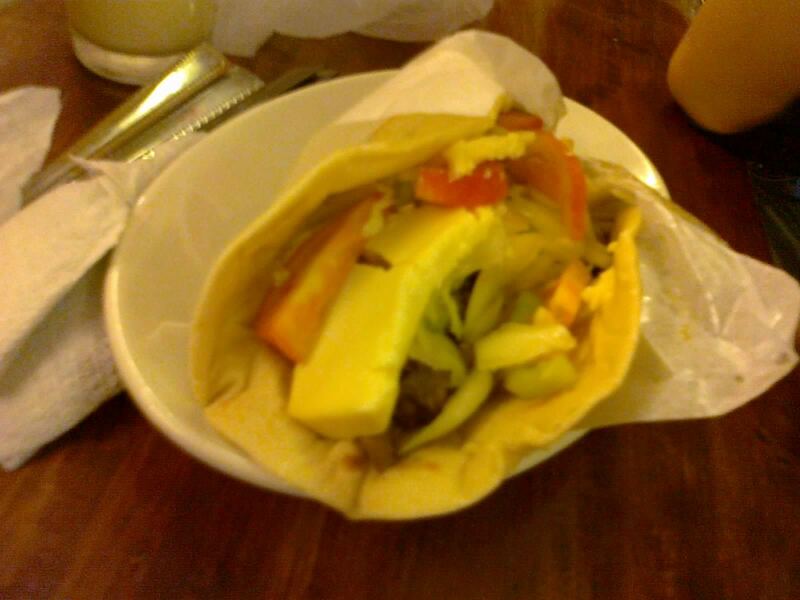 Beloved, after seeing the ox tongue in the menu and because she loves lengua, ordered that for herself (80 Php). 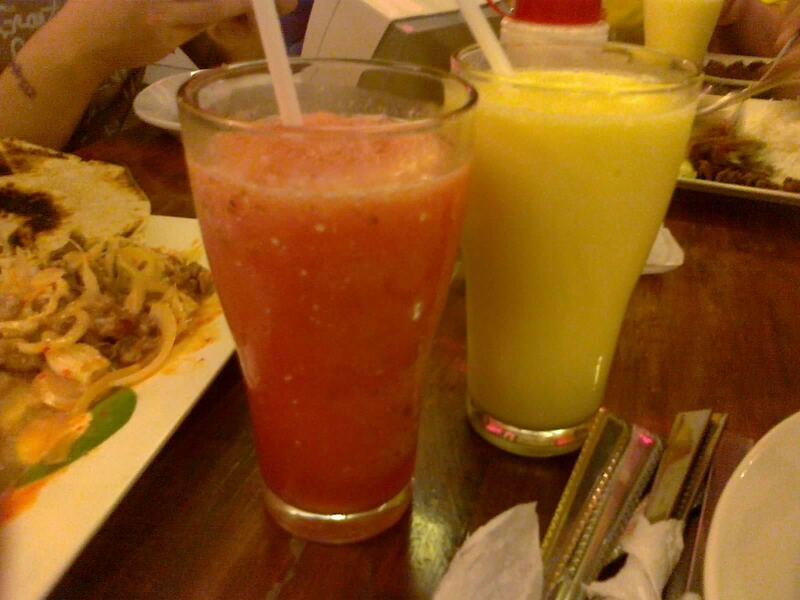 While I wasn’t hungry, I certainly was thirsty, so I tried their Mango Yogurt Shake (45 Php), and beloved had their Watermelon Shake (30 Php). Our drinks arrived first, and I must say, this is one of the more delicious and refreshing shakes I’ve tried. The mango is there for the sweetness, and the yogurt adds a sour kick to the thick concoction. Beloved’s loved hers as well, noting that they actually use fresh fruits in their drinks. My Beef Shawarma arrived after a short wait. While it may not be the biggest shawarma I’ve had for the price, it might just be the tastiest one. The vegetables they used is noticeably fresh, the lettuce and onions crunchy, and the tomatoes firm but juicy. More importantly, however, is their beef that is very succulent and flavorful. All of this is wrapped in a soft pita bread that makes for a delicious package. Next time, I’ll probably forgo the cheese which didn’t really do much for me. 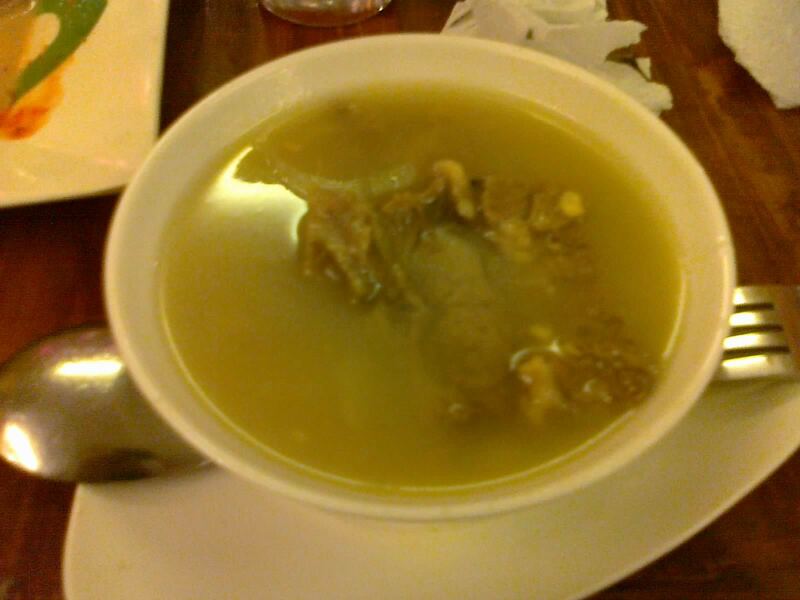 Beloved’s Ox Tongue was cooked nilaga. While the meat didn’t taste like the lengua she usually have, she mentions that the soup is a bit on the spicy side. The serving wasn’t really the biggest, so I guess she wasn’t really satisfied with this bowl. However, knowing the fact that you can go here 24⁄7 for your kebab and shawarma fix at very affordable prices is a huge plus. This is the most affordable Persian restaurant I’ve tried, rivaling Ababu. However, the taste of the shawarma here doesn’t even compare. My friends ordered kebabs for themselves, and I must say, they are the biggest I’ve seen for their price, which makes me want to try them. Because of that, World Class Persian Kebab makes it to my must try list just because the quality of their food doesn’t serve justice to how inexpensively they price it. I just wish they don’t increase their prices if this review somehow reaches them. Recommended for: Persian food lovers. Not recommended for: Persian food haters. Smart nomnomnom tip: The white sauce is yogurt, the red sauce is hot.